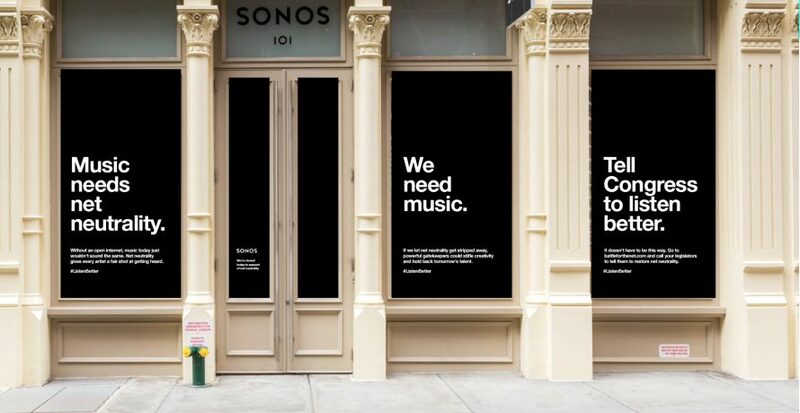 Sonos, the consumer electronics company most well-known for its smart speakers, is closing its flagship New York store today with an accompanying message about the importance of net neutrality. 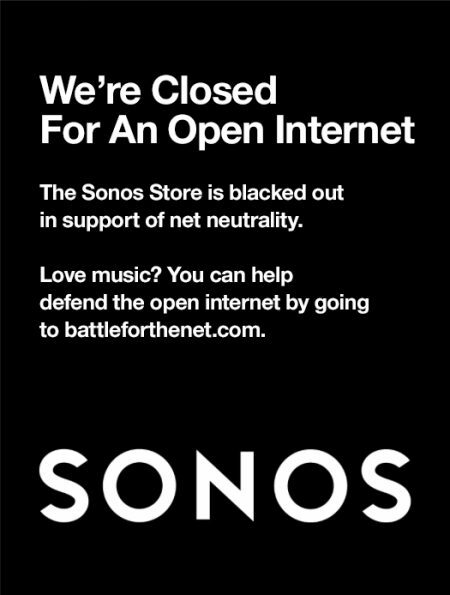 The message, timed to coincide with the Grammys, stresses the importance of an open internet to the future of music and directs viewers to battleforthenet.com. The brand is also partnering with Access Now, Future of Music Coalition, and Fight for the Future in efforts to promote net neutrality, following the FCC’s decision to repeal net neutrality rules in December. “Music’s biggest night is always on our radar and with its return to New York City—our backyard where we have our flagship store in Soho—we recognized an opportunity to be bold and make an action-oriented statement that aligns so strongly with our values as a company,” he added. The effort was preceded by a “Freedom of Choice” print ad and will be supported by two full-page ads in the today’s edition of The New York Times. Sonos’ store closing will be promoted on a variety of channels, including a blog post on Sonos.com and on influencer’s social media channels. Sonos isn’t the only brand to weigh-in on net neutrality this week as Burger King recently had a viral hit with its “Whopper Neutrality” stunt by David Miami. While there’s debate over whether taking a stance on political and social issues offers brands more risk or more reward, net neutrality is an issue that receives overwhelming bipartisan support.